So some people aren't big fans of me making fun of slogans within quotation marks, but the single-double mismatch here puts it well over the edge into ridiculous. Daniel spotted this in Caulfield, Melbourne, Australia. 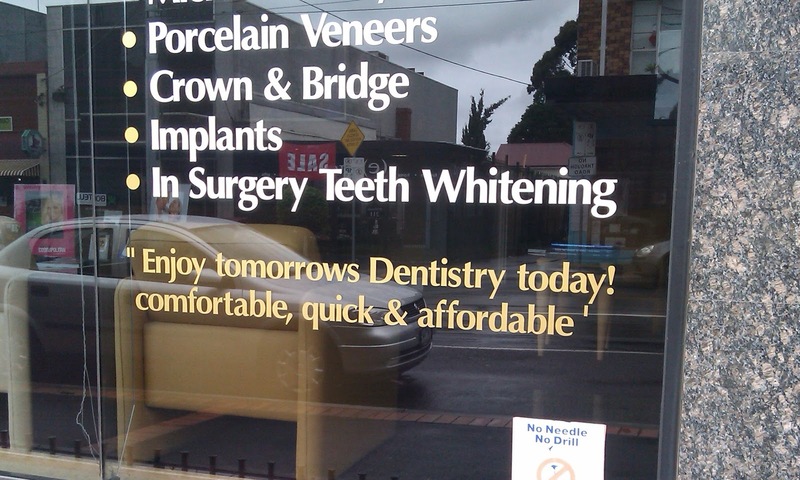 There's an apostrophe missing, and why does 'Dentistry' need capitalisation? 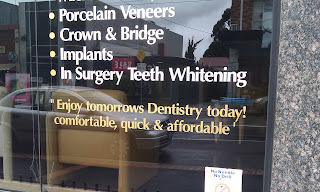 And someone paid a sign writer to do this? Sheesh! To be fair it was a direct quote!